Images ©2018 Deep Learning Indaba. At the 30th conference on Neural Information Processing in 2016, one of the world’s foremost gatherings on machine learning, there was not a single accepted paper from a researcher at an African institution. In fact, for the last decade, the entire African continent has been absent from the contemporary machine learning landscape. 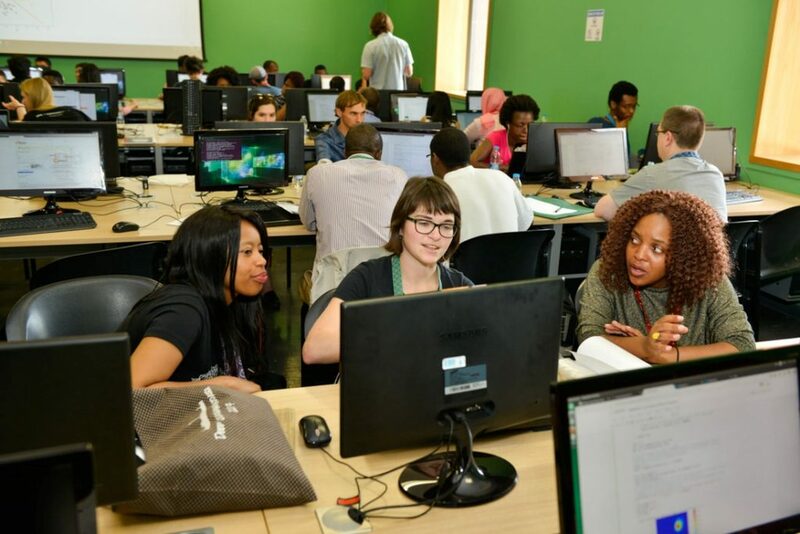 The following year, a group of researchers set out to change this, founding a world-class machine learning conference that would strengthen African machine learning – the Deep Learning Indaba. 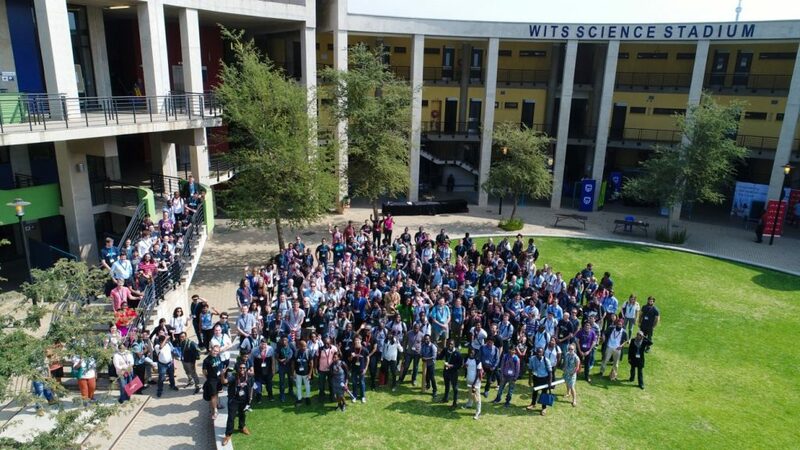 The first Deep Learning Indaba took place at Wits University in South Africa. 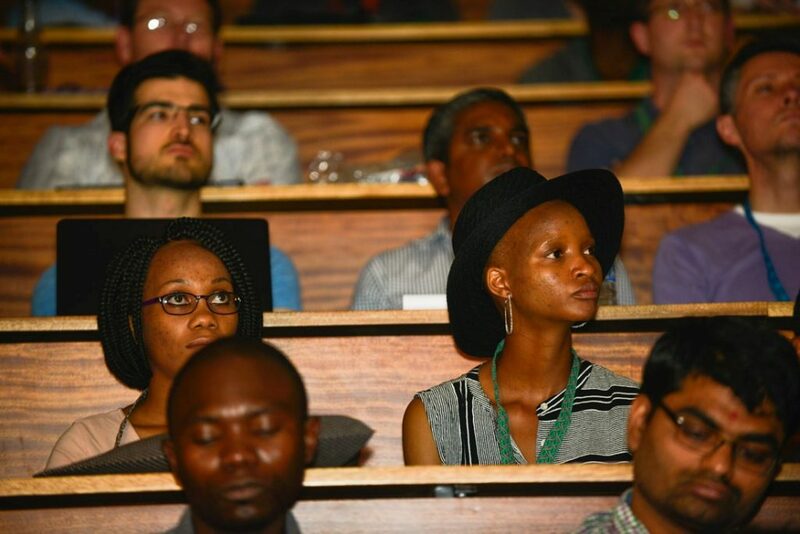 The indaba (a Zulu word for a gathering or meeting) was a runaway success, with almost 300 participants representing 22 African countries and 33 African research institutes. It was a week-long event of teaching, sharing and debate around the state of the art in machine learning and artificial intelligence that aimed to be a catalyst for strengthening machine learning in Africa. 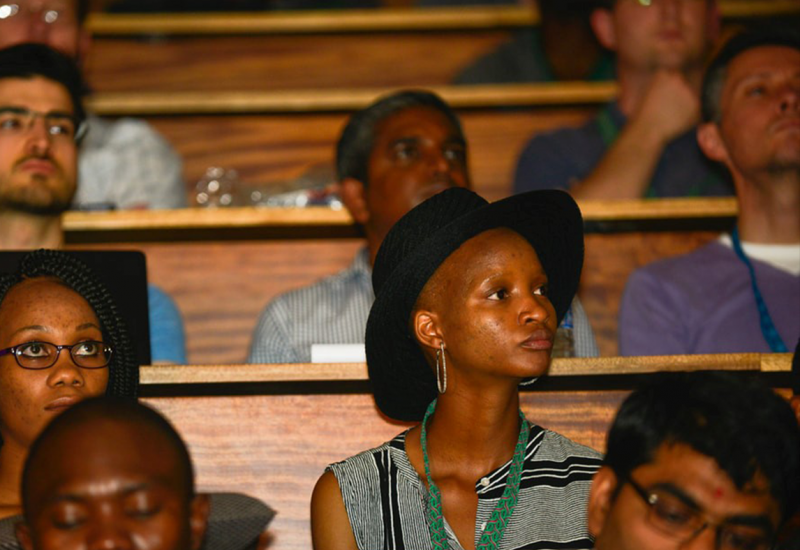 Attendees at Deep Learning Indaba 2017, held at Wits University, South Africa. 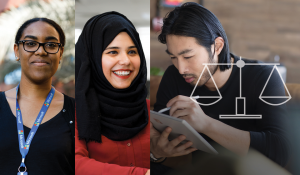 Now in its second year, Microsoft is proud to sponsor Deep Learning Indaba 2018, to be held September 9-14 at Stellenbosch University in South Africa. The conference offers an exciting line-up of talks, hands-on workshops, poster sessions and networking/mentoring events. 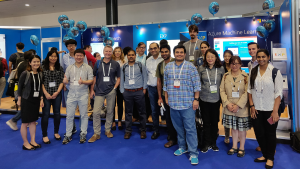 Once again it has attracted a star-studded guest speaker list – Google Brain lead and Tensorflow co-creator Jeff Dean; DeepMind lead Nando de Freitas; and AlphaGo lead, David Silver. 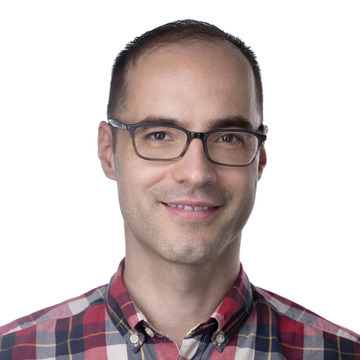 Microsoft is flying in top researchers as well; Katja Hofmann will speak about reinforcement learning and Project Malmo (check out her recent podcast episode). 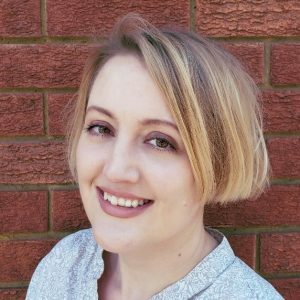 Konstantina Palla will present on generative models and healthcare. And Timnit Gebru will talk about fairness and ethics in AI. The motivation behind this conference really resonated with me. When I heard about it, I knew I wanted to contribute to the 2018 Indaba, and I was excited that Microsoft was already signed-up as a headline sponsor, and had our own Danielle Belgrave on the advisory board. 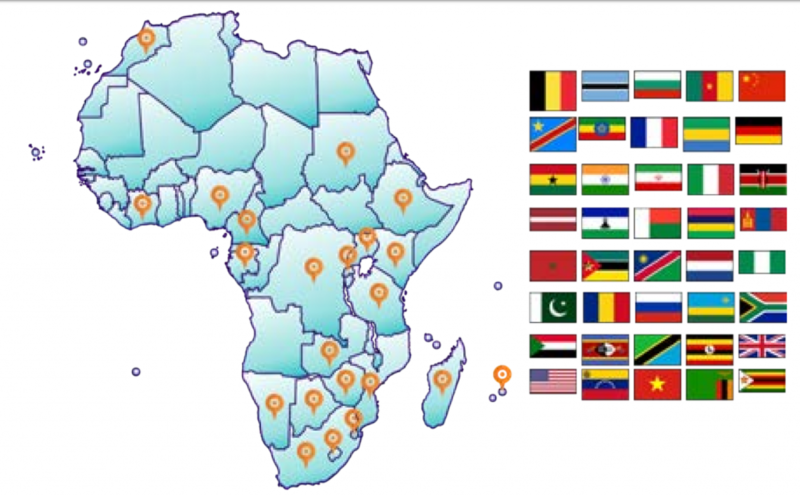 African countries represented at the 2017 Deep Learning Indaba. I graduated from University of the Witwatersrand (“Wits”) in Johannesburg, South Africa, with a degree in biomedical engineering, and a degree in electrical engineering, not unlike some of the conference organizers. In 2010, I came to the United Kingdom to pursue my PhD at Imperial College London and stayed on to work in the UK, joining Microsoft in 2017 as a software engineer in machine learning. In my eight years working in the UK in the tech community, I have seldom come across African scientists, engineers and researchers sharing their work on the international stage. During my PhD studies, I was acutely aware of the Randlord monuments flanking my department’s building, despite the absence of any South Africans inside the department. At scientific conferences in Asia, Europe and the USA, I scanned the schedule for African institutions but seldom found them. Fellow Africans that I do find are usually working abroad. I have come to learn that Africa, a continent bigger than the USA, China, India, and Europe put together, has little visible global participation in science and technology. The reasons are numerous, with affordability being just one factor. I have felt the disappointment of trying to get a Tanzanian panelist to a tech conference in the USA. We realized that even if we could raise sufficient funds for his participation, the money would have achieved so much more in his home country that he couldn’t justify spending it on a conference. Of all tech areas, perhaps it is artificial intelligence in particular that needs African participation. Countries such as China and the UK are gearing-up for the next industrial revolution, creating plans for re-retraining and increasing digital skills. Those who are left behind could face disruption due to AI and automation and might not be able to benefit from the fruits of AI. 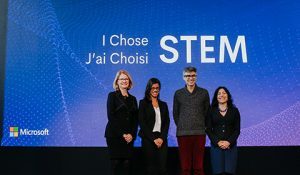 Another reason to increase African participation in AI is to reduce algorithmic bias that can arise when a narrow section of society develops technology. One of the goals of the conference is to increase diversity in the field. To quote the organizers, “It is critical for Africans, and women and black people in particular, to be appropriately represented in the advances that are to be made.” The make-up of the Indaba in its first two years is already impressive and leads by example to show how to organize a diverse and inclusive conference. From the Code of Conduct to the organizing committee, the advisory board, the speakers and attendees, you see a group of brilliant and diverse people in every sense. The 2018 Women in Machine Learning lineup. The Indaba’s quest for diversity aligns with another passion of mine, that of increasing women’s participation in STEM. Since my days of being the lonely woman in electrical engineering lectures, things have been improving. There seems to be more awareness today about attracting and retaining women in STEM, by improving workplace culture. However, there’s still a long way to go, and in the UK where I work, only 11% of the engineering workforce is female according to a 2017 survey. I have found great support and encouragement from women-in-tech communities and events such as PyLadies/RLadies London and AI Club For Gender Minorities, and saw the Indaba as an opportunity to pay it forward and link up with like-minded women globally. So, I’m very pleased to say that on the evening of September 10 at the Indaba, Microsoft is hosting a Women in Machine Learning event. The aim of our evening is to encourage, support and unite women in machine learning. Our panelists each will describe her personal career journey and her experiences as a woman in machine learning. As there will be a high number of students in attendance, our panel also highlights diverse career paths, from academia to industrial research, to applied machine learning, to start-ups. Our panel consists of Sarah Brown (Brown University, USA), Konstantina Palla (Microsoft Research, UK), Muthoni Wanyoike (InstaDeep, Kenya), Kathleen Siminyu (Africa’s Talking, Kenya) and myself from Microsoft Commercial Software Engineering (UK). We look forward to seeing you there!